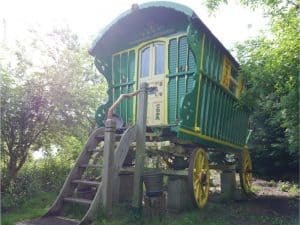 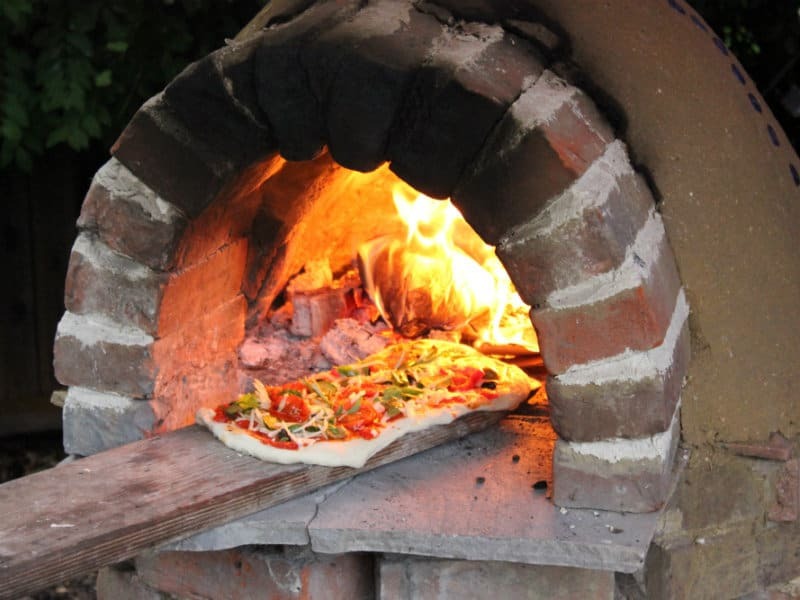 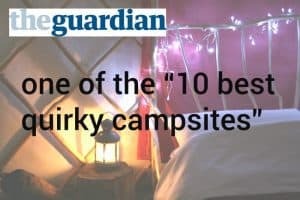 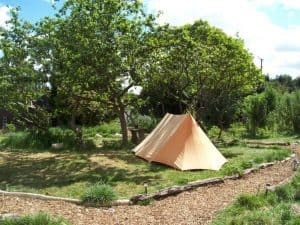 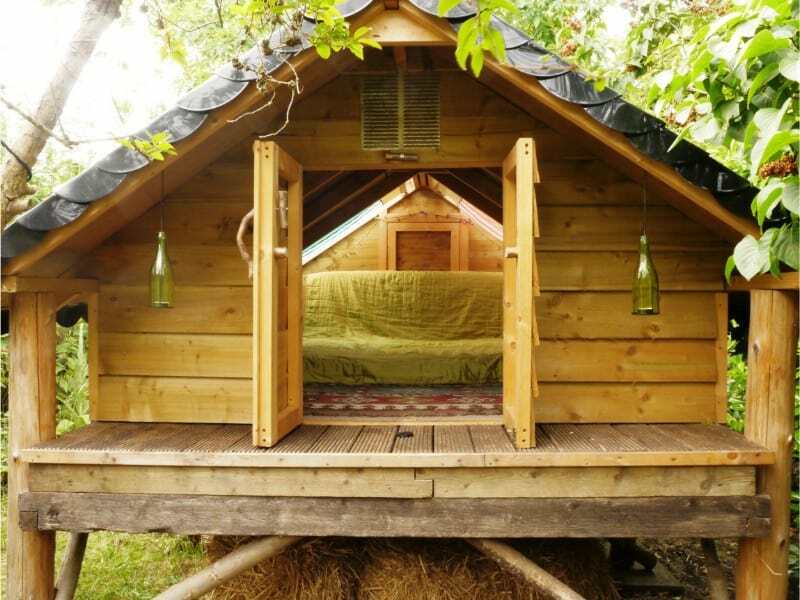 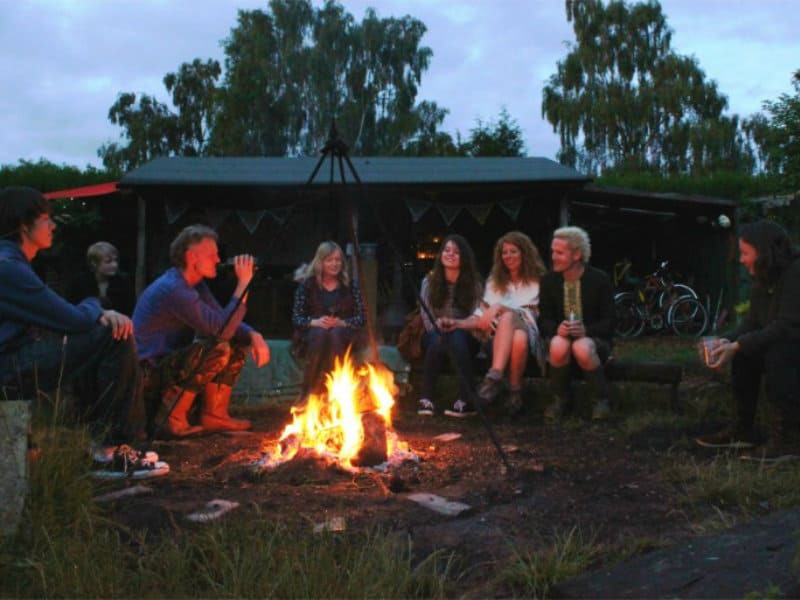 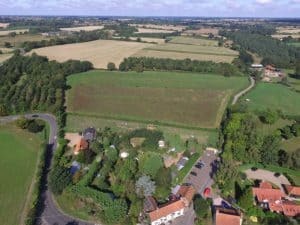 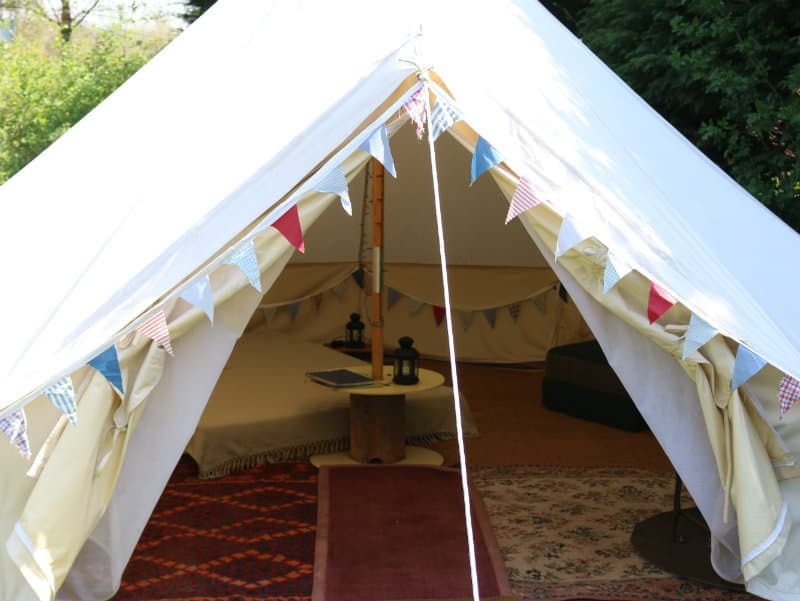 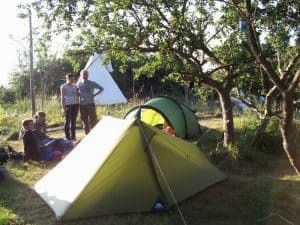 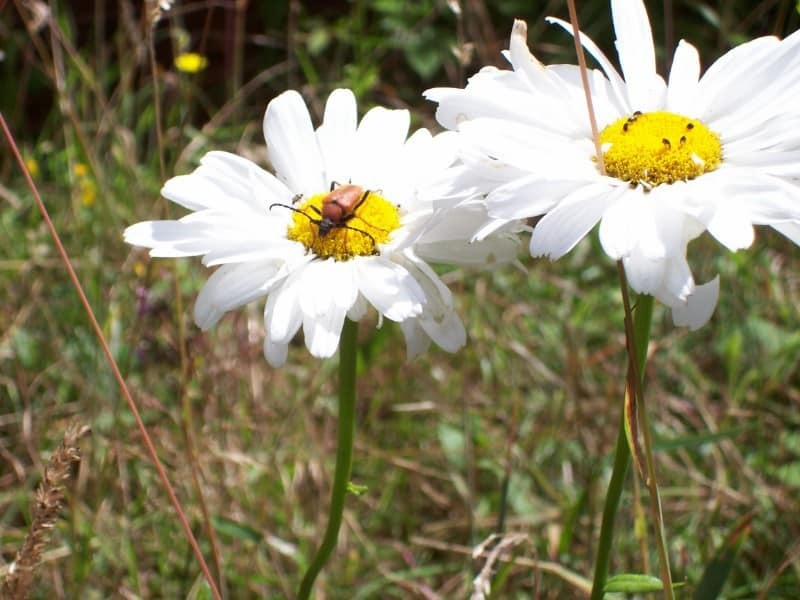 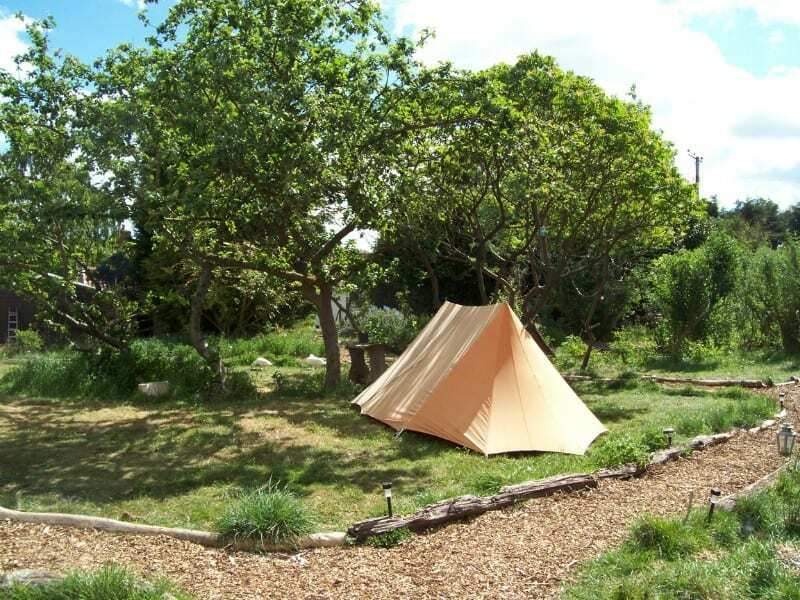 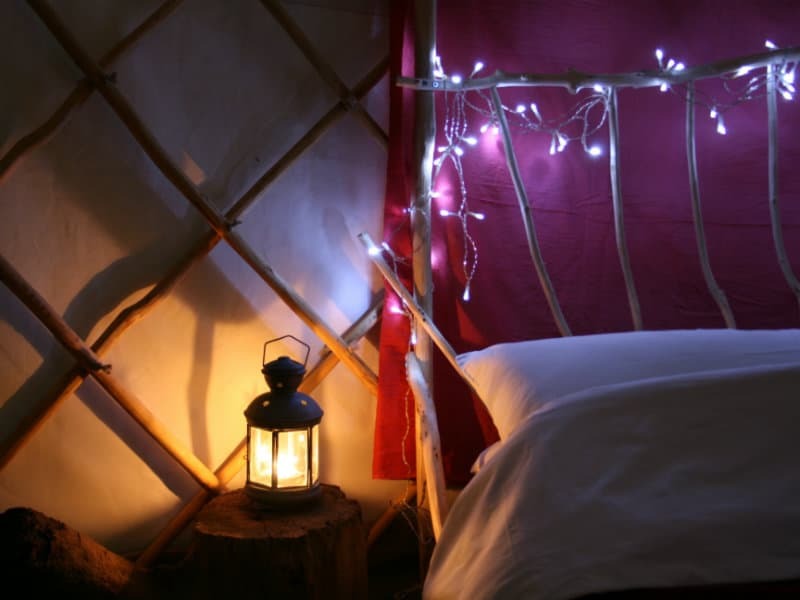 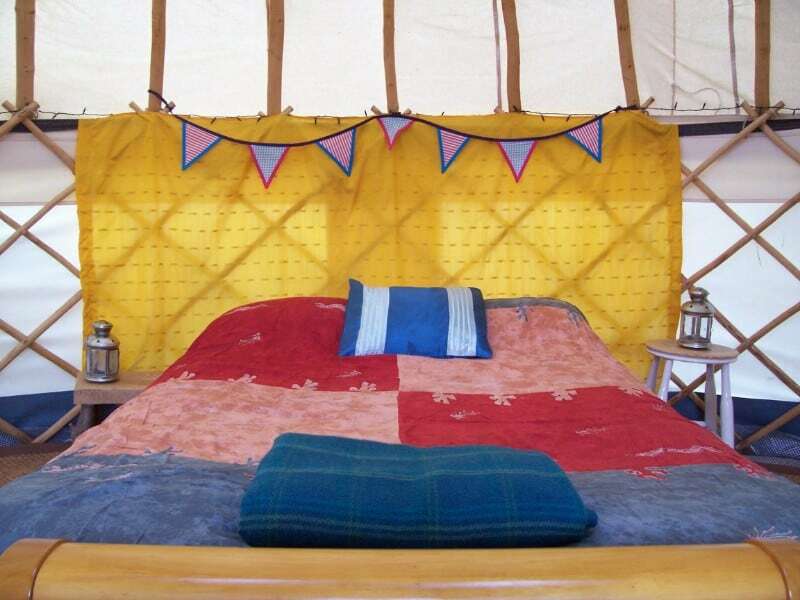 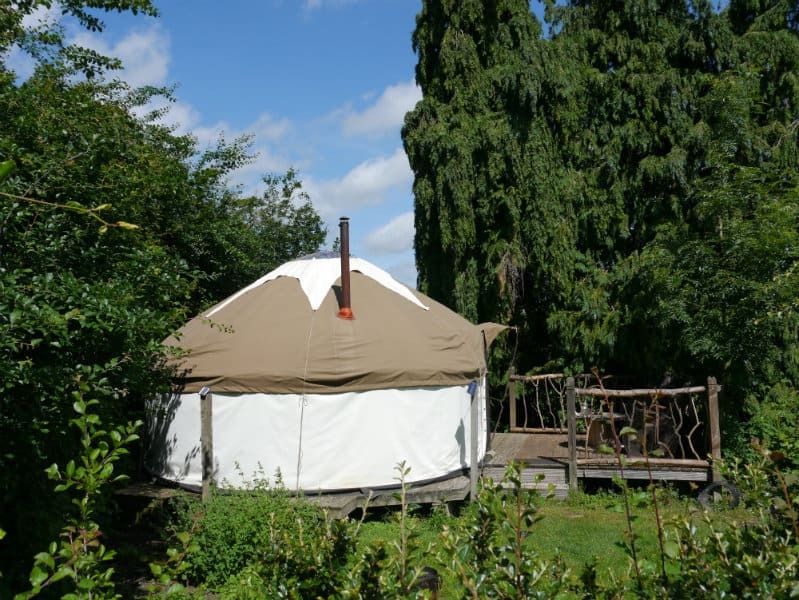 "the perfect antidote to busy lives"
Alde Garden is a tiny campsite in the heart of Suffolk with an eclectic range of rustic, quirky accommodation as well as a handful of small tent pitches. 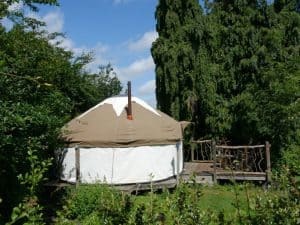 Just 2 hours from London by train, and only a 20min drive from Suffolk's diverse coastline - Alde Garden makes the perfect spot for a holiday, retreat or short break. 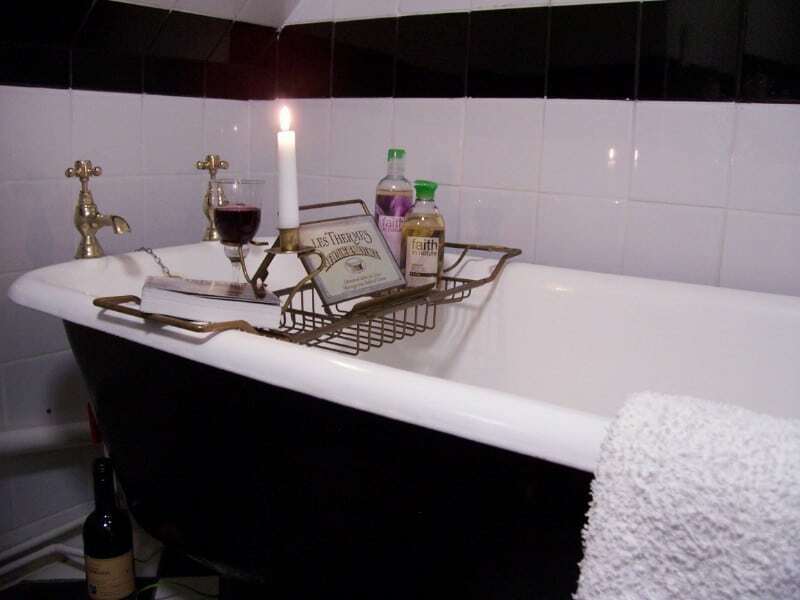 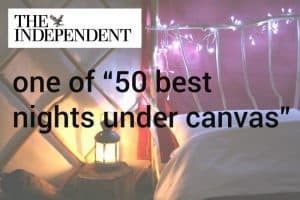 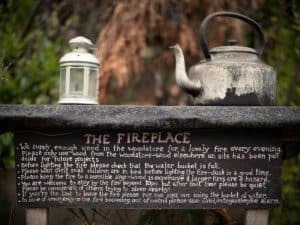 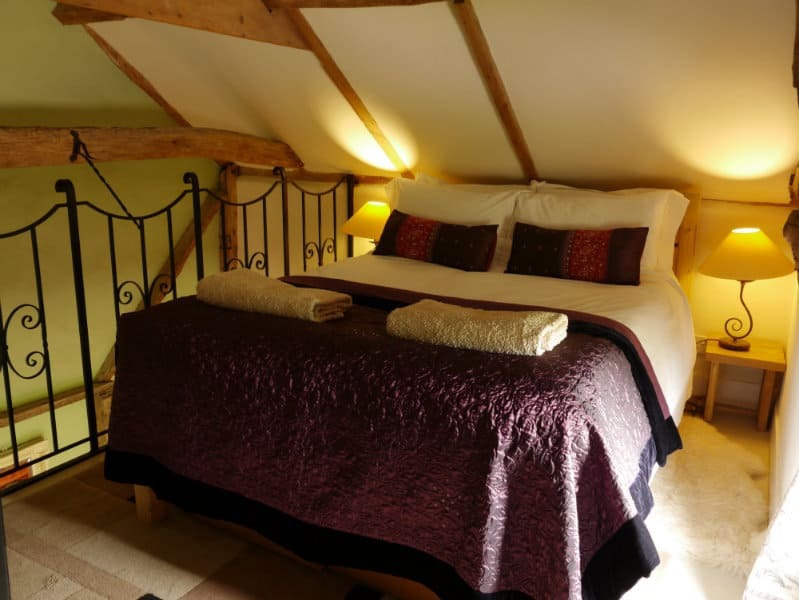 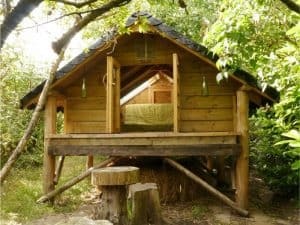 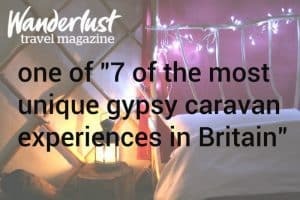 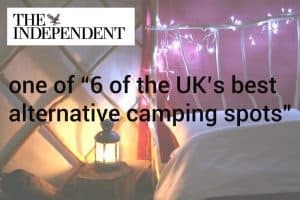 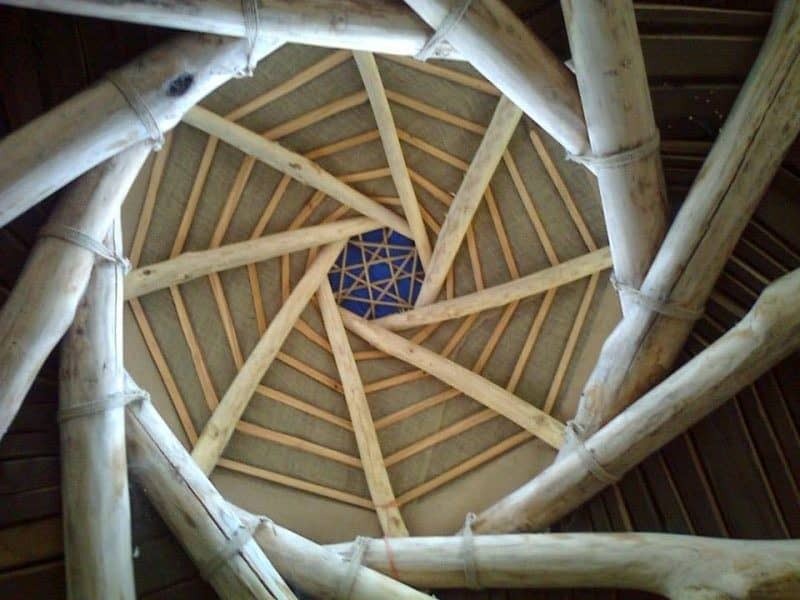 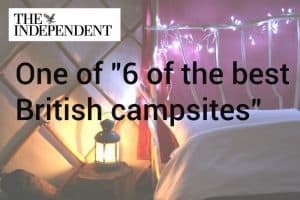 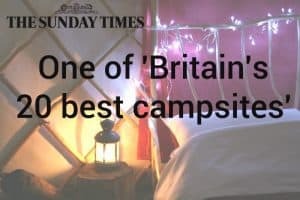 Tucked away in a tiny secret garden hides an eclectic array of quirky accommodation plus a range of communal facilities including a campfire, covered field kitchen, compost loo and jungle shower. 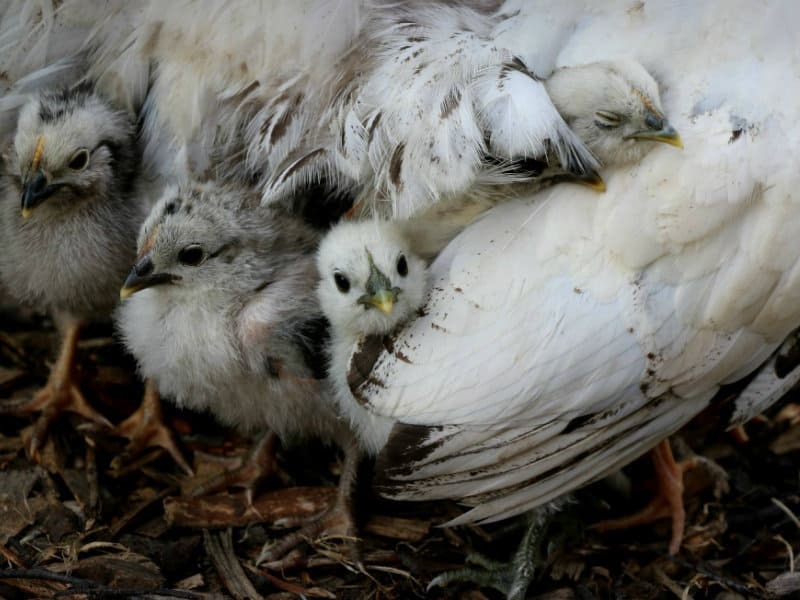 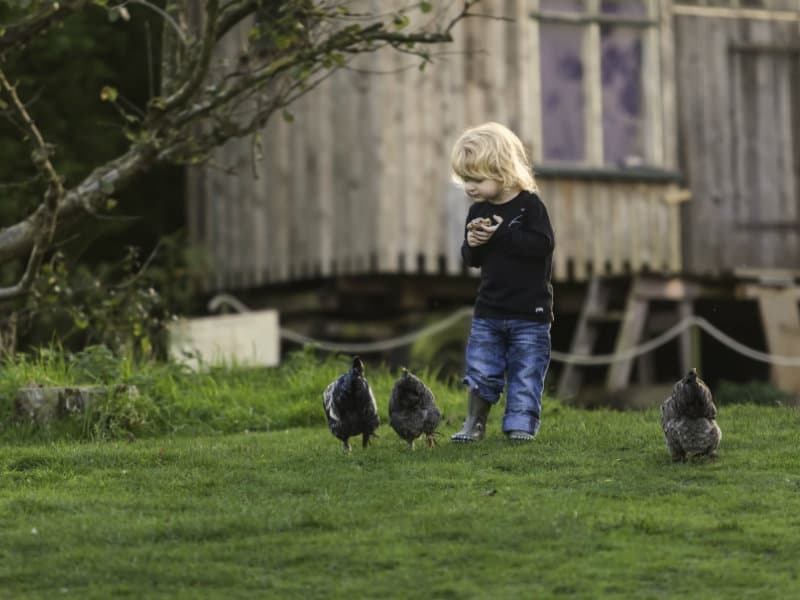 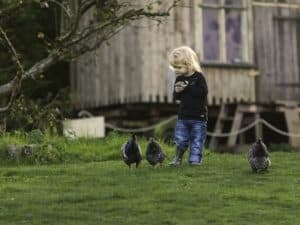 Rustic pathways take you through the trees, shrubs, flowers & wildlife areas and the garden is also home to many friendly ducks & chickens. 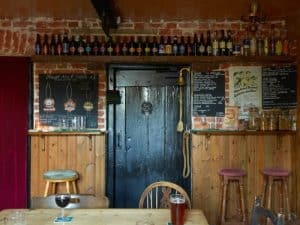 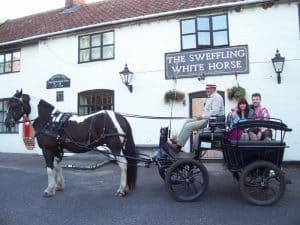 Next to the garden is The Sweffling White Horse - our award-winning real ale pub. 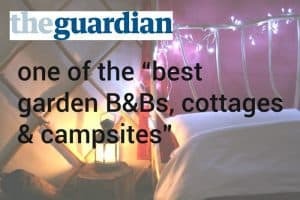 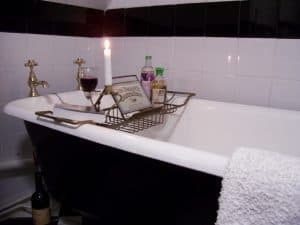 This friendly and relaxed site is perfect for couples young & old - as well as small families - who wish to spend time amongst nature. 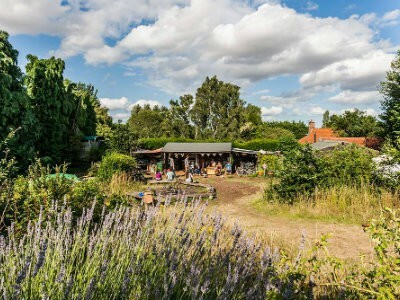 We look forward to welcoming you to our garden!